Alabama has executed Walter Moody. Click here to read more. The Supreme Court of the United States has lifted the stay of execution for Walter Moody, allowing Alabama to proceed. Alabama Governor Kay Ivey has announced that she has declined to grant clemency to Walter Moody after reviewing all the facts of the case. In her announcement, she also noted that she was aware of the temporary stay granted by the Supreme Court of the United States and of the concern over vein access. The Supreme Court of the United States has issued a temporary stay of execution for Walter Moody. The stay could yet be lifted this evening, allowing the execution to proceed. Alabama must start the execution before midnight or else they will have to seek a new execution date. The Alabama Supreme Court has rejected a request to halt the execution of Walter Moody. Walter was seeking to have his execution halted over concerns about technicians being able to access a vein for the execution. 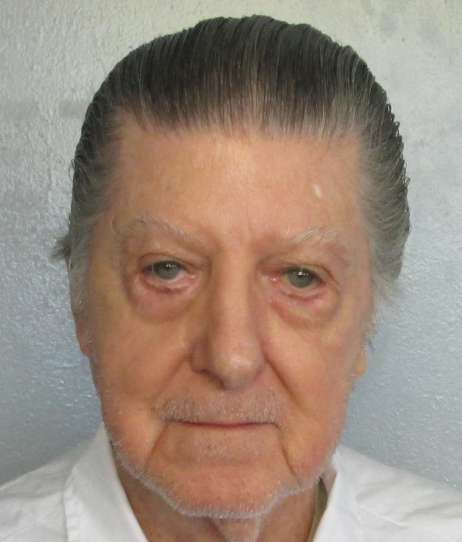 Attorneys for Walter Moody are appealing to the Alabama Supreme Court arguing that he should be granted a stay of execution over concerns that technicians will not be able to locate a viable vein for use during the execution. According to the filing, Walter was examined and found to have "spider veins," and the technician seemed concerned. Walter also still has at least one appeal pending at the Supreme Court of the United States. The 11th Circuit Court of Appeals has refused to halt the execution of Walter Leroy Moody, Jr. Walter asked the court to halt his execution on the grounds that he should be in federal custody. Walter was first tried and convicted in federal court, where he received seven life-without-parole sentences. He was then tried and sentenced to death in Alabama. Walter attempted to argue that since he was first tried by a federal court, he should be in federal custody. However, the federal government and the state of Alabama have had an agreement since 1990, to allow Walter to serve his time in Alabama. Further, US Attorney General Jeff Sessions has announced that he support Alabama proceeding with the execution. Walter will likely appeal this decision to the Supreme Court of the United States. US Attorney General Jeff Sessions has announced that he supports Alabama going ahead with the execution of Walter Leroy Moody, Jr. Walter had submitted an appeal to the 11th Circuit Court of Appeals arguing that Alabama should not be allowed to execute him, as he should be in federal custody. Walter was first tried and convicted in federal court, where he received seven life-without-parole sentences. He was then tried and sentenced to death in Alabama. Walter attempted to argue that since he was first tried by a federal court, he should be in federal custody. However, the federal government and the state of Alabama have had an agreement since 1990, to allow Walter to serve his time in Alabama. The 11th Circuit Court of Appeals has yet to rule on Walter's appeal. Walter Leroy Moody, Jr., is scheduled to be executed at 6 pm CDT, on Thursday, April 19, 2018, at the Holeman Correctional Facility in Atmore, Alabama. Eighty-three-year-old Walter is convicted of the murder of 58-year-old US Circuit Judge Robert Smith Vance on December 16, 1989, in Alabama, and civil rights attorney Robert E. Robinson on December 18, 1989, in Georgia. Walter has spent the last 20 years of his life on Alabama’s death row. At the time, the government was also investigating Moody for the murder of Judge Robert Dance of the Court of Appeals for the 11th Circuit and for the murder of Robert Robinson, a civil rights lawyer in Savannah, Georgia. Judge Dance was murdered in his home on December 16, 1989, when he opened a plainly wrapped, brown package. Inside was a pipe bomb filled with nails, which exploded, killing him instantly and severely injuring his wife, Helen. Two days later, on December 18, 1989, Robert Robinson was killed in nearly identical circumstances in his home in Savannah, Georgia. In the following days, two other bombs were discovered and defused - one in Georgia and one in Florida. The pipe bombs were linked to the one for which Moody had previously been imprisoned, and which conviction he was fighting. Moody was arrested for the murders in 1991. He was first tried in federal court for the murder of Robert Robinson, where Moody received seven consecutive life without parole sentences. He was then tried in Alabama for the murder of Judge Robert Vance, where he was sentenced to death. If executed, Moody will be the oldest inmate executed in the United States in modern times. Please pray for peace and healing for the families of Robert Vance and Robert Robinson. Please pray for strength for the family of Walter Moody. Please pray that if Walter is innocent, lacks the competency to be executed, or should not be executed for any other reason, that evidence will be presented prior to his execution. Please pray that Walter may come to find peace through a personal relationship with Jesus Christ, if he has not already.